Our values and promises define who we are. At Service Inspired Restaurants we take great pride in our diverse portfolio of restaurants and believe a brave, bold and results-driven culture inspires and creates new opportunities for everyone. Our values and promises define who we are. They are not simply a dream, vision, or mission, but a way of life for every person that becomes or wants to become a member of our team. Our goal is to be the first choice of our guests, team members, supplier partners, communities and investors by living our values and promises in everything we do. 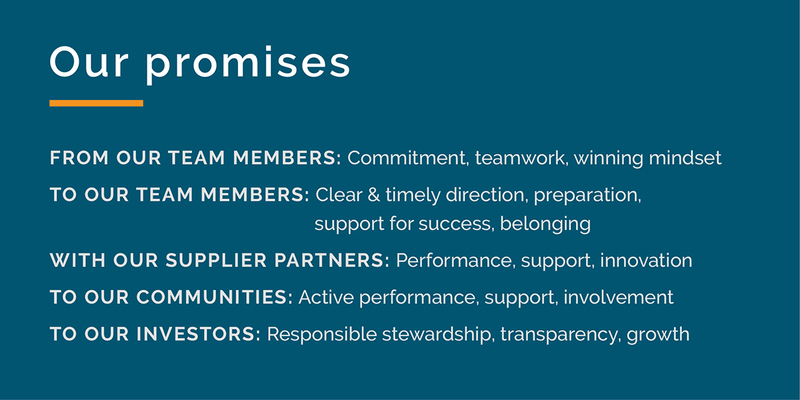 These values and promises describe how we conduct business, achieve our goal, and live our passion.